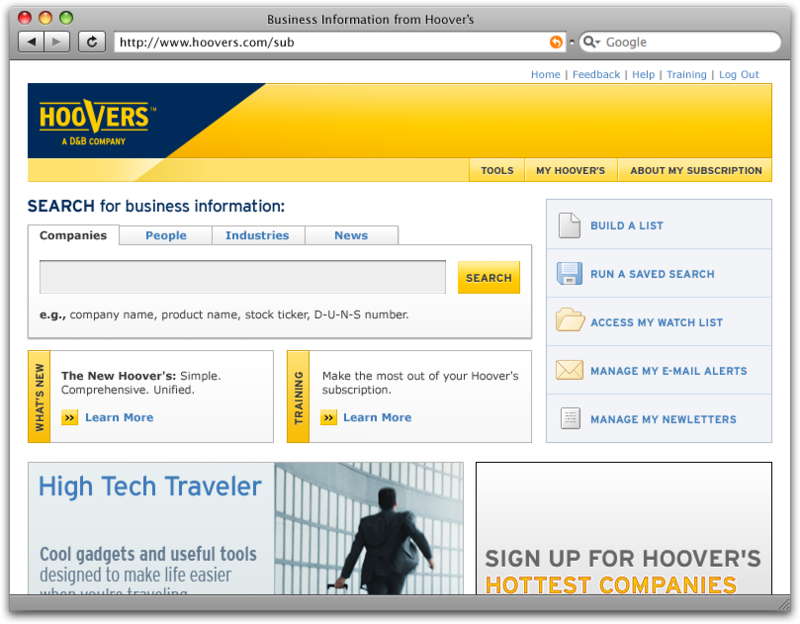 Hoover's is a subscription-based business information provider. We redesigned the site with a focus on new tools and increased usability — including a massive overhaul of the search engine to combine three searches into one more powerful, yet easier to use interface. In addition to the subscription site, Hoover's offers an advertising-supported free site, which acts as a demo for the full suite of paid tools and data. This site was redesigned to increase both prospect leads and advertising revenue.